What’s perhaps most interesting is just how simple Airbnb’s business model is. As you can see, Airbnb’s business model is a multi-sided marketplace that connects travelers with host and experience providers. The company makes money from booking fees that come from stays and experiences. Simple, right?! However, if you dive into what REALLY makes Airbnb’s business model special is that it’s exponential…in almost every way…especially when compared to the business model of a hotel company, like Marriott, the largest hotel chain in the world. In fact, when you look at them side-by-side, what you’ll notice is that the big shifts Airbnb has made in the hospitality market, have enabled it to scale hospitality in a way Marriott can only dream of (i.e. exponentially). Firstly, Airbnb solves a problem (and addresses ambitions for many people). Plain and simple: Airbnb’s business model is made for a mass market…and even connects mass markets in a unique way (travelers, hosts, and experience providers). Via its rating system and ability to tailor experiences, Airbnb has created communities of fans for all of its customer segments. What’s more, if you’ve used Airbnb, you probably already know that it employs a totally digital channel. There are no booking agents or front desk receptionists to call. You find and make reservations and/or manage listings and experiences via an app and online. Because it is a marketplace, Airbnb’s core value proposition is essential an information-based offering. In other words, Airbnb does not own any of the properties nor does it have to worry about providing value in the form of real assets. Rather, its business model is predicated on connecting people who have something to offer with others who need what they have. It’s all information at the core. Additionally, as a marketplace, Airbnb has several revenue streams, all connected to booking stays and experiences. On the operational side, Airbnb has built scalability into everything the company does. Whether it’s working with regulators or developing ads and apps, Airbnb has set up processes that enable it to move very quickly to new markets in a way that brick and mortar hotels only wish for in their wildest dreams. Connecting all of this, are Airbnb’s algorithms, that churn through the millions and millions of stays, guests, hosts, and experiences, continually matching the right value propositions with the right people. This is very much a virtuous cycle that feeds back into Airbnb’s customer relationships, which feeds information back to the algorithm, etc. Finally, when you visit Airbnb, as BMI did in January, two things you notice right away are 1) the entire office experience has been designed to be open and collaborative (and to look just like some of the favorite homes on the platform); and 2) Airbnb employees are empowered to make decisions that help customers. 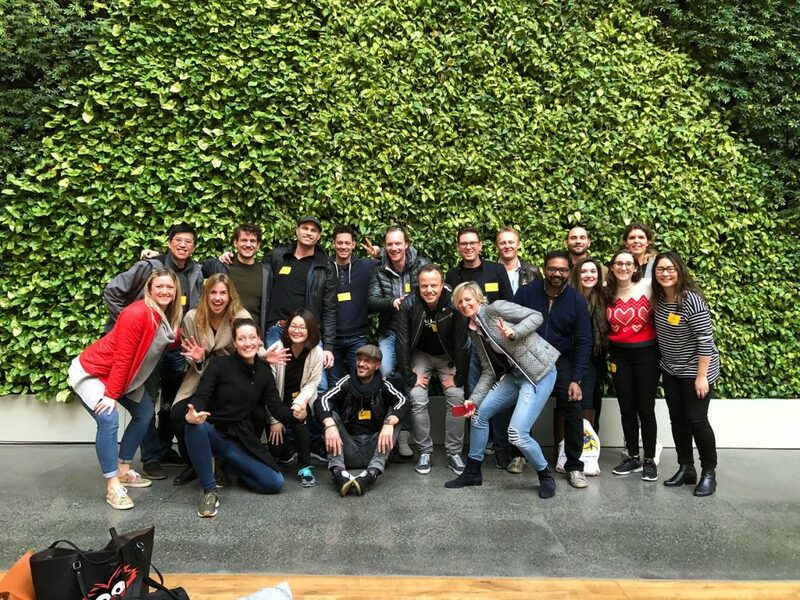 While Airbnb is not a holacracy, the company definitely provides people with the ability to work together to solve problems and provide better experiences for its customers. When you add all of these things up, Airbnb represents a company which has not only totally embraced the idea of an exponential business model. Airbnb understands how all of the elements of its business model are connected and the company continually innovates to make it more connected and more exponential. Understanding how to design exponential elements into your business model.